Enhance your colour and value gauging with the New Wave Grey Pad disposable rectangular paper palette. The disposable paper palette contains 50 neutral grey sheets of extremely durable paper stock that are coated to make certain the sheets beneath stay dry. 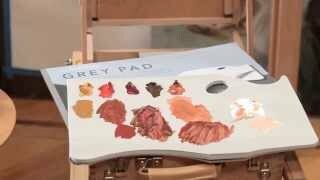 In addition, the pad is glued on 3 edges, ensuring that your pages stay fastened while you mix paint. 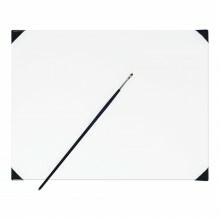 It also ensures that your pages do not blow in the wind if painting outdoors. Ideal for all paint media. The size is 11"x16" for easy storage and transportation.